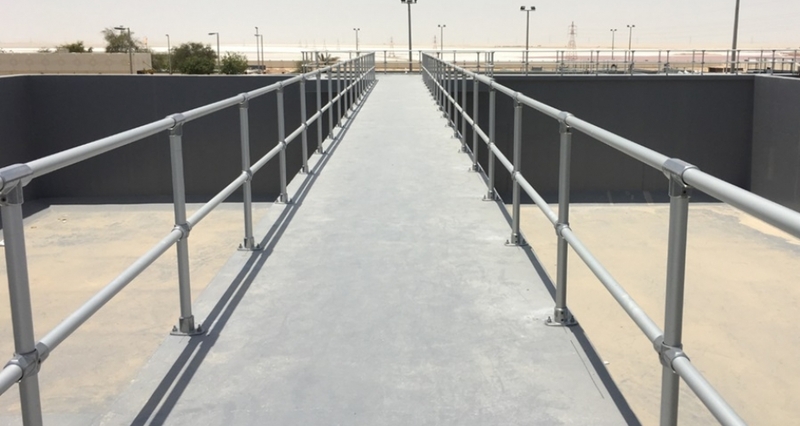 Guardrail in desertlike environments must fulfil much more specifications than in the moderate regions of Europe. 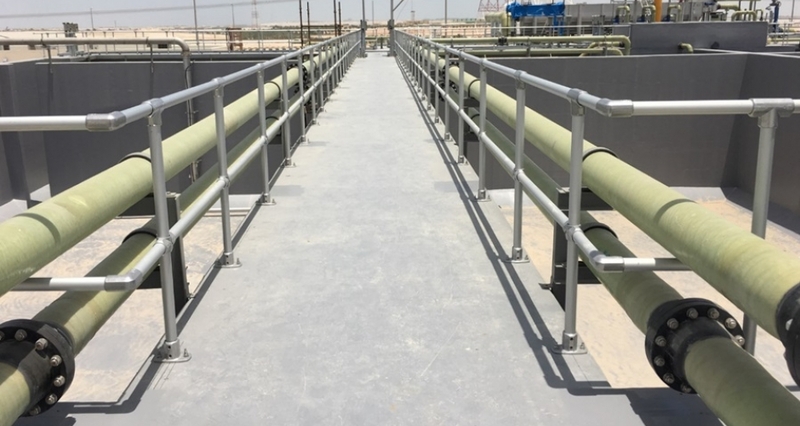 Anodised aluminium as a robust and corrosion resistant material is the choice for any guardrail on industrial plants in the Middle East. 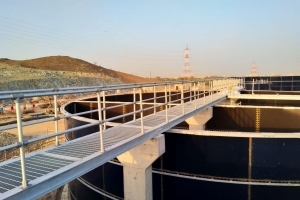 Beside the environmental effects Abu Dhabi Sewerage Services Company had another very important specification which needed to be complied with: non-conductive material. 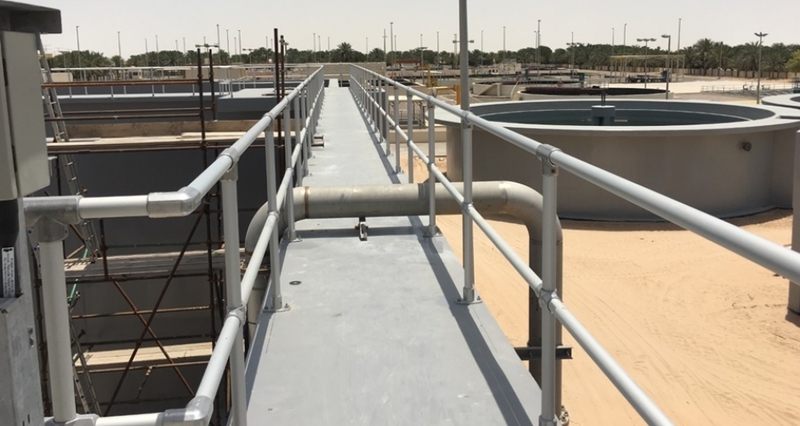 GRP (Glass-Reinforced Plastic) material has been part of the conversation, but costs were much higher than the aluminium solution. 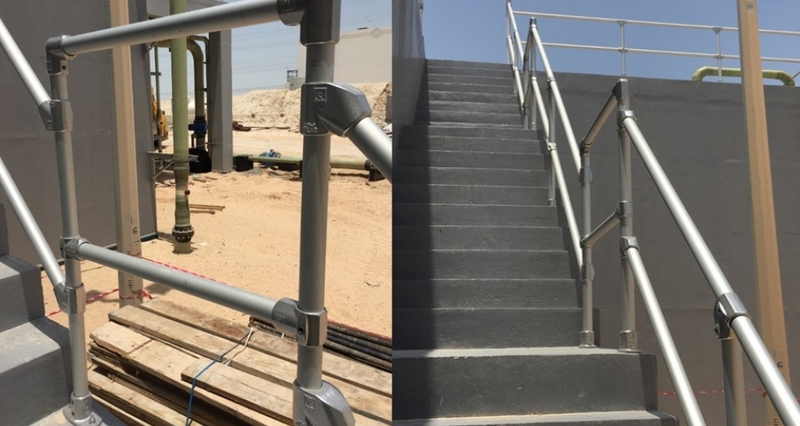 So aluminium guardrail built out of KEE LITE fittings and aluminium tube has been the solution of choice. 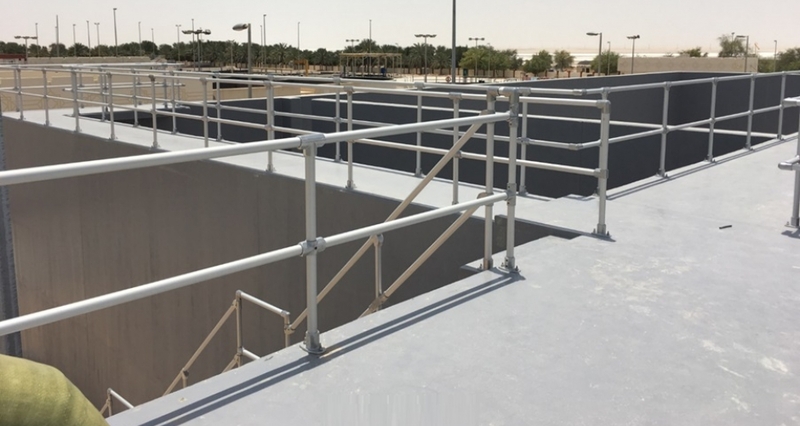 Kee Safety fittings can be installed with GRP tube to get a solution for a specific non-conductive guardrail. 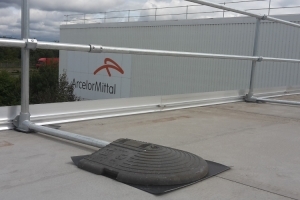 Please do not hesitate to ask for your specified quote!